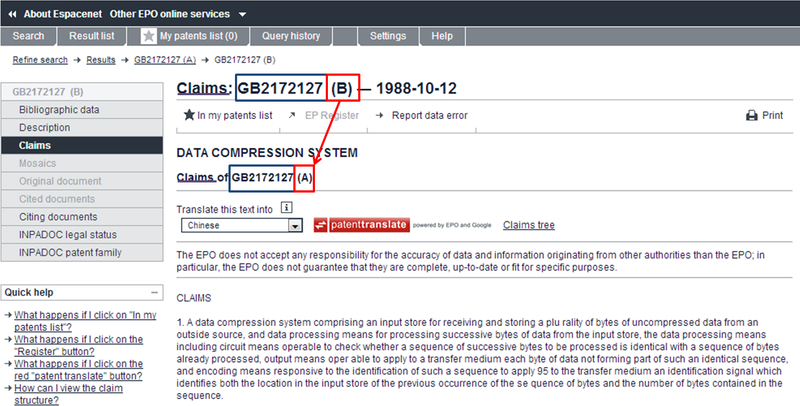 Below are example technology areas in which I perform patent analysis. Because I work as both a patent practitioner and a software engineer, I subscribe to several email “newsletters” and RSS feeds pertaining to patent news and to general technology. Over the past few years I have read with some amusement the various news stories pertaining to the purported lunacy of patent protection (particularly so-called “software patents”), providing specific examples. I would be the first to acknowledge that there are indeed some crazy issued patents out there — one great place to find these is at FreePatentsOnline (link). Occasionally Gene Quinn, a patent attorney and blogger, writes about examples of humorous patents, such as these here. Note that none of those listed by Gene in the aforementioned post includes software. Anyway, the problem with many of the posts by bloggers without a solid knowledge of the patent process is that these posts often include agitating titles that assumedly stir up those with anti-patent bents, but without just cause. The first and foremost mistake made in these articles is to state that someone has obtained a patent on something seemingly ludicrous, when in fact someone has only applied for a patent, but no patent has yet been granted. As readers of this article are likely aware, one can file a patent application on anything, whether or not the subject matter is patentable — thus the examination process, wherein a patent examiner skilled in the related art examines patent applications to determine patentability. For the patent examiner to grant patent protection to an invention, the invention in the associated patent application should, among other things, be directed to patentable subject matter, have utility, be novel, and not be obvious to one skilled in the art. Another common mistake is to read solely an issued patent’s title and/or abstract to try to glean the scope of the patent’s protection. Claims define the breadth of the patent’s scope, and can frankly often be difficult to understand by their very nature, usually including esoteric language that takes some effort to fully comprehend. Wikipedia contains a lot of dubious information. Twitter is a good place to spread dubious information of all sorts. Politic[i]ans will happily repeat anything they find on Wikipedia. How has the CAFC’s Bilski decision impacted your patent/invention analysis and/or drafting? 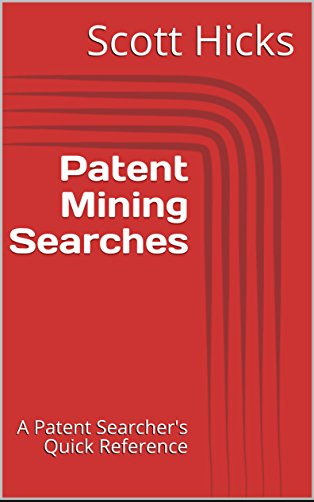 As a follow-up from a previous post on types of patent searches [Link], this post discusses some techniques for reviewing patent documents (both patents and patent applications) for potential relevance for a given product, and the post provides some choices for action taken in case a patent document is deemed relevant based on the review. A preliminary review of a given patent document helps to form an initial interpretation of what the scope of the claims is. 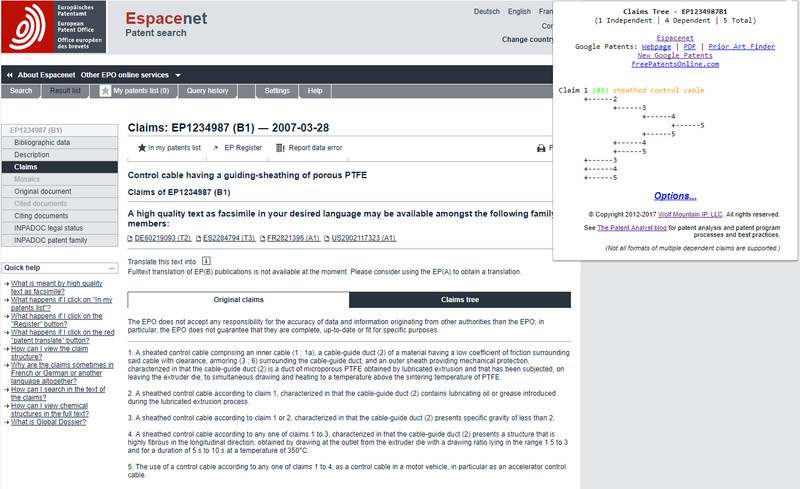 Intrinsic evidence is used to determine the claim meaning, with this type of evidence including e.g., the specification and listed embodiments, the document’s prosecution history, cited prior art, other claims within the patent document, associated patent litigation, and associated parent/sibling/foreign filings. The ordinary meaning of each claim is construed from the perspective of a person having ordinary skill in the art (PHOSITA) for the time period of the invention. However, an inventor in the patent document specification can expressly define terms differently than their ordinary meaning, and the specification may explicitly disclaim some embodiments. Of course means-plus-function claims are limited the structures and equivalents contained within the spec. Also, during patent prosecution the patent owner can surrender claim scope. Extrinsic evidence such as a dictionary definition or expert testimony, or even inventor testimony, can be used to determine the claim construction if it does not contradict the intrinsic evidence. The proper construction is weighed heavily toward the intrinsic evidence such as those listed in the paragraph above. Performing a workaround so as to avoid possible infringement, if such a workaround is feasible. Any workaround considered should be analyzed to ascertain its impact on the product — its impact on cost, quality, and timeliness of the product should not be more detrimental than other possible routes, such as obtaining a license. Also, it is often advisable to obtain a written opinion from external patent counsel on the non-infringement of the workaround on the patent. Licensing the patented invention from the patent owner, whether through monetary payment, cross-licensing of patents, etc. Obtaining an opinion from external patent counsel of prior art anticipation or obviousness of the patent. This type of opinion is more difficult to obtain, as in this case every claim needs to be shown to be invalid. Additionally, this type of opinion is certainly not rock solid, as the patentee can render the opinion moot such as through claim modification in a reexamination (e.g., adding an element to claims to avoid invalidity finding by examiner). Obtaining an opinion from external patent counsel of non-infringement. This type of opinion only has to show non-infringement of the independent claims, as a product that does not infringe independent claims cannot infringe the dependent claims. Taking a chance and doing nothing. The risks here are obvious, as there could be problems with “willful infringement”. Consider also that a given patent may not be in force due to a missed maintenance fee, but one needs to be careful here since patents can be revived. None of these decisions can be taken lightly, and due consideration should be given to each. The above list is not meant to be exhaustive, as there are further considerations that can made in this situation. Additional suggestions are welcomed from readers.